So far language teaching and learning theory has been very teacher-centered, very teaching-centered and very academic-learning centered. A lot of the theory focuses on effective teachers, effective teaching and effective learning, usually passive learning. -for leisure purposes (watching movies in the target language for example) note: people who study languages for leisure purposes and have no intention to communicate directly with native speakers of the language tend to bow out early in the first round, which is why I won't cover them here. Let me point out some of the logical flaws here. While most people are not sure why they are learning foreign languages, it is usually for a mixture of informal conversation and formal professional communication purposes. Now if they wanted to study a language for academic purposes, that would mean they are trying to understand math, physics, geology or history in the target language, not understand the intricacies of the grammar and formal syntax of the target language. Now let's look at the different reasons people study languages. For conversation purposes. Now this can be a little tricky. In some countries, conversation is a free game where anyone can have conversations with anyone. In other countries, conversation is not a free game and you need to be “somebody” to have a conversation with someone else. Let me explain this further. In Turkey or in Israel, or perhaps in the United States or Canada, when I ask someone for directions, that could be followed by small talk. Why are you going there? What are you looking for there? Oh there's a nice place around that corner you may want to visit. In other countries, say France, China, Japan, Korea, you need to be “somebody” to make small talk. You need to be a cousin, a classmate, a fellow Church member, a former classmate, a colleague, either way, you need that clearly defined relationship to move forward with small talk. How do you learn conversation in a foreign language? You start with a very awkward conversation in that foreign language. Your second conversation will be less awkward. Your third conversation a bit less awkward. Your fourth conversation will be better than the third. The fifth better than the fourth. 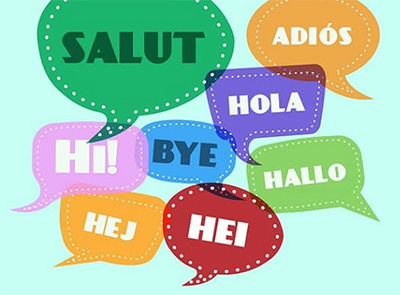 The more conversations you have in the target language, the better. Books and textbooks or formal classes can guide you with conversation, or can perhaps be conversation themselves. In a lot of formal language classes, what the teacher does is have conversations with the students in the target language. Any other formal learning is simply acquiring more precise knowledge of the language, which can help be more precise when having conversation. Now to the learning languages for formal professional communication purposes. This is again where it gets tricky. A lot of professionals in suits study foreign languages but want to skip the conversation part and move straight to the formal professional communication part. The truth is you need to master the art of conversation before moving to formal professional communication, otherwise what you do is grammar-translation, that is you study the translation aspects of the language. Formal professional communication needs vary according to sectors, a doctor won't have the same needs as a tour-guide. That's why you have all those specialized English as a Foreign Language textbooks for example, when formal professional communication is really a mix of formal conversation, formal monologues (speeches) and formal professional written communication. As to comprehensible input, you have the mail you receive, the speeches you attend and the formal conversations you have. Finally, in terms of language learning, academic learning is the classic lecture hall and listening to lectures, taking tests in the foreign language and handing in assignments in the foreign language, participating in classroom discussions in the foreign language. What implications does this have for the language teaching and learning business world? First, that everyone needs a little bit of conversation before moving to composition and formal language, but nobody needs conjugations and vocabulary lists, much less formal syntax. Second, conversation is a two-way street and is done for comprehension purposes, not correction purposes. Finally, language learning isn't just about comprehensible input, it's about comprehensible input and output. Comprehensible input as in understanding what is being said in the foreign language, and comprehensible output as in finding ways to express yourself, as in finding the right words in the foreign language. Here too there is another huamanistic non-positivistic side of the coin. How about thinking of language as the necessary element for being and remaining human, not just pragmatic purposes? If one thinks of it that way, it assumes a different coloration and one begins to understand it that if one begins with the wrong understanding of its essential purpose, the methods one uses will make no difference.